Villa was born in Bergamo, Italy, and studied at the Andrea Fantoni Art School, Italy. His first experience of South Africa was as a prisoner of war in 1942. 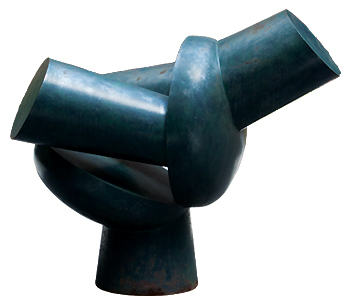 After his release he remained in the country to pursue a career as a sculptor; he worked and lived in Johannesburg. From his conventional heads and figures of the 1940s, Villa moved progressively through stylised figuration to structural abstraction. The universality of humankind is a theme that dominates his work. Villa’s work reveals both his European origin and his intimate experience of Africa. The University of Pretoria houses the Edoardo Villa Museum.